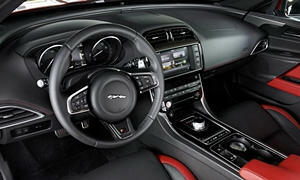 Jaguar XE Pros and Cons | Page 1 of 1 | Why Not This Car? What drives people to buy (or not buy) a certain car? 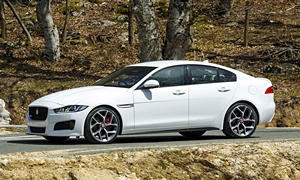 TrueDelta's members share Jaguar XE pros and cons based on their real-world driving experiences. The edgy exterior styling really does it for me. Not over the top but still aggressive. The car does have a lot of chrome but it seems to fit in with the overall styling real well. Cadillac burned the cookie-cutter when they designed this one.